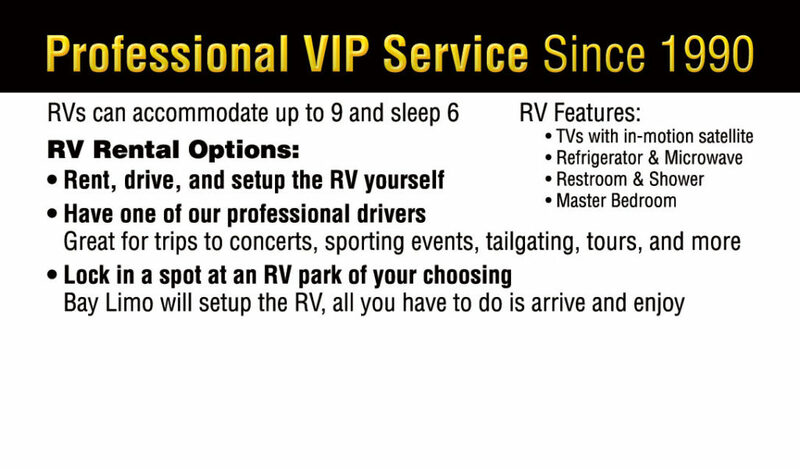 RV Rental Service is the Name of the Game! 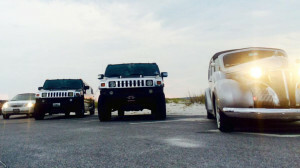 Bay Limo and the Limo Bus know that not every event needs a limousine. 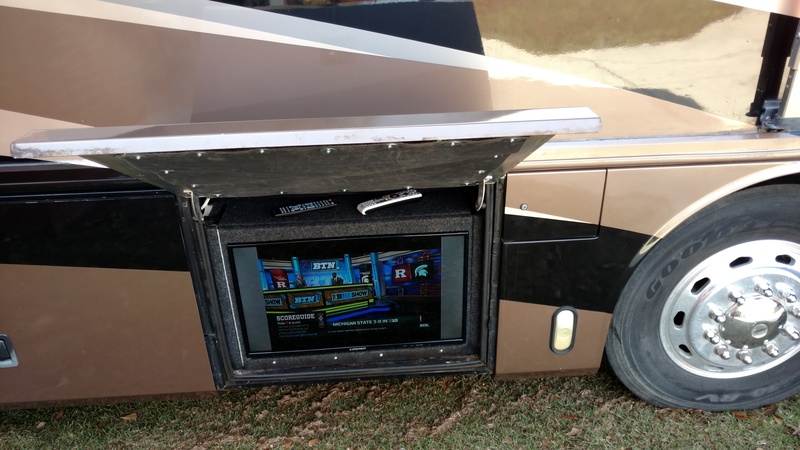 Sometimes you need something different, something “outside the box” and that’s where our new RV rental service fills that need. 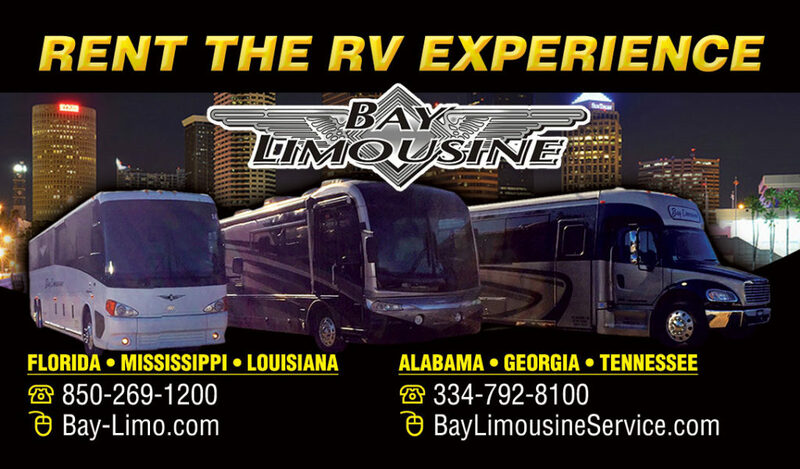 From day trips to overnight stays, the Bay Limo RV experience is just what you’ve been looking for. 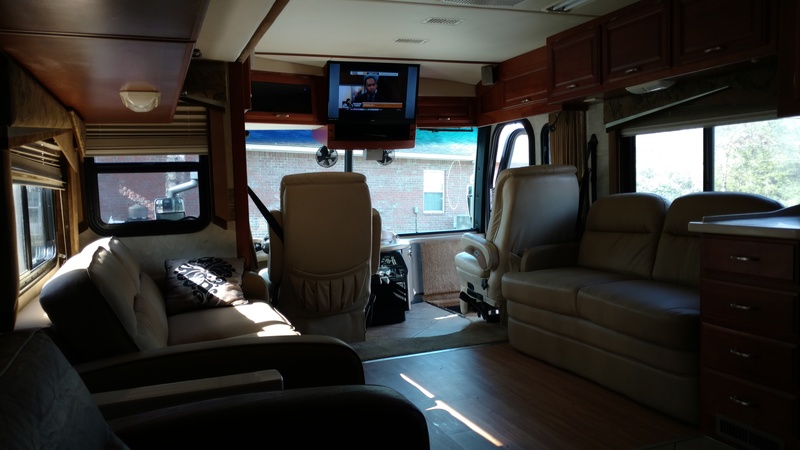 With or without our professional drivers, you can rent one of our top notch recreational vehicles for your next big event. 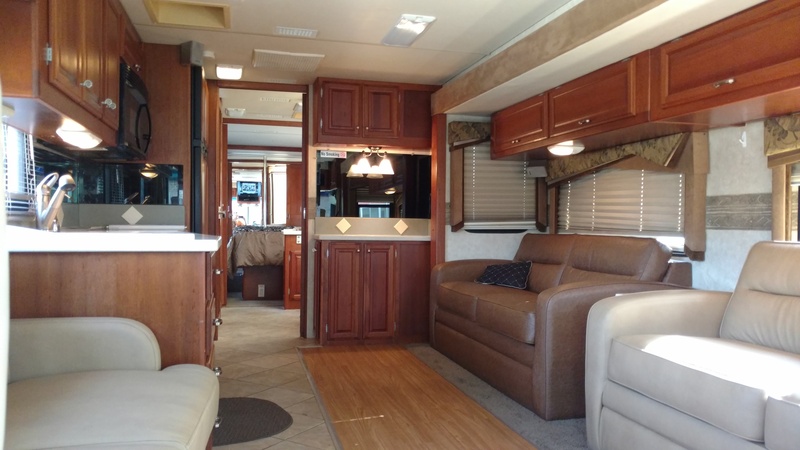 Whether you’re looking to tailgate at the big game or you're looking to getaway for the weekend, our RVs are built for extreme comfort and style, no driver required! Planning on attending the race at Talladega or maybe looking for a little fun in the Big Easy? The services of our professional drivers might be right up your alley. 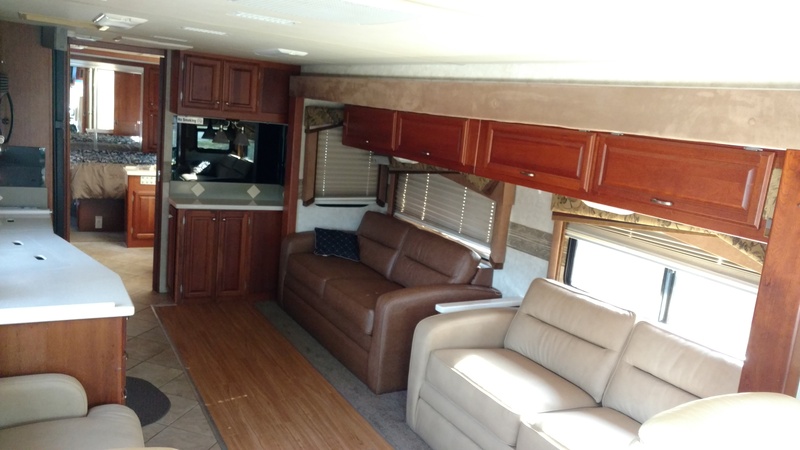 Rent one of our RVs and let our team handle everything else. From pickup to drop off, we make sure your trip runs smoothly and you arrive safely having enjoyed the Bay Limo experience to the fullest. 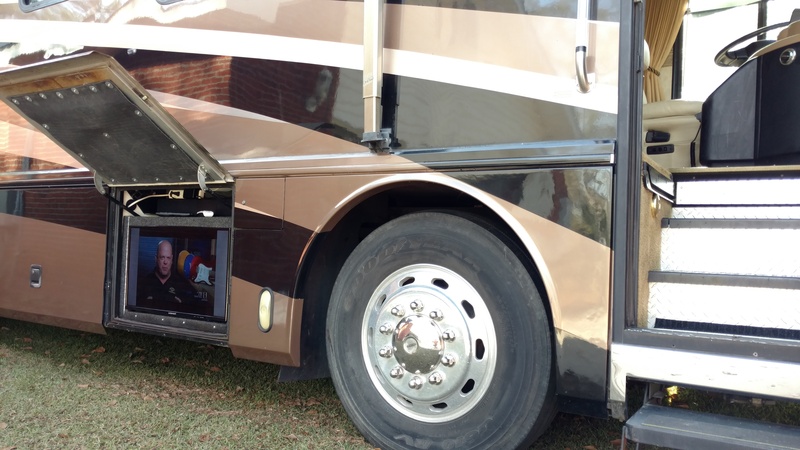 Have you thought of taking a trip to the beach with a RV? 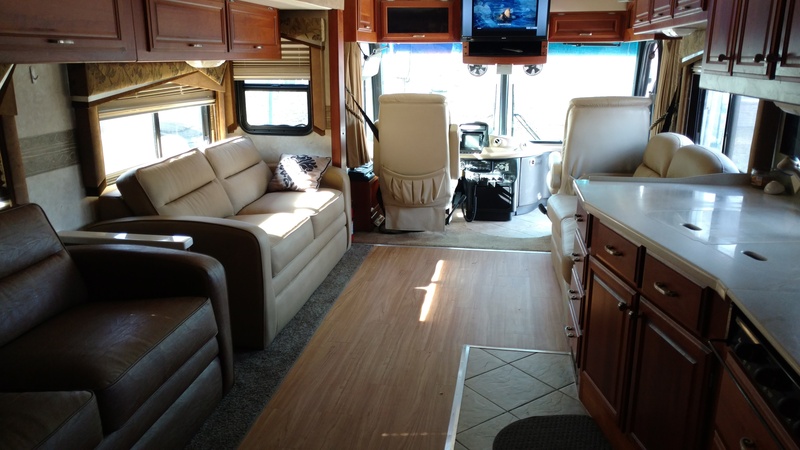 Check out these RV reviews to find out what other things people get up to with their RV's! Imagine having a place to take a break from the sun, eat some lunch or even take a nap. 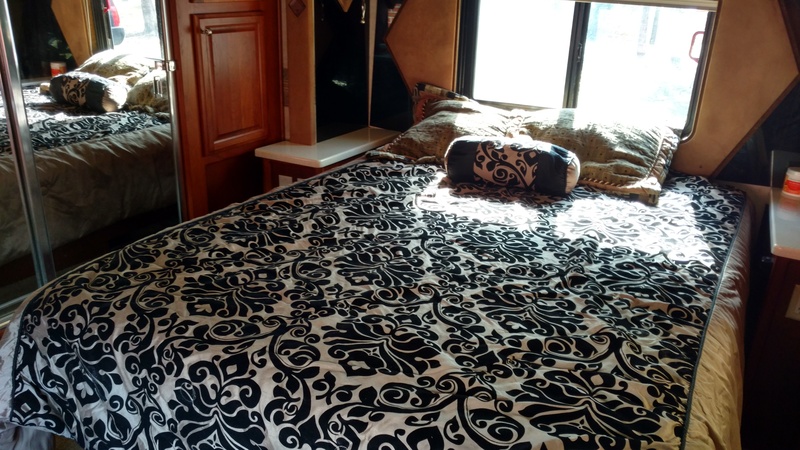 Our RV's seat up to 10 and provide sleeping areas for 6. 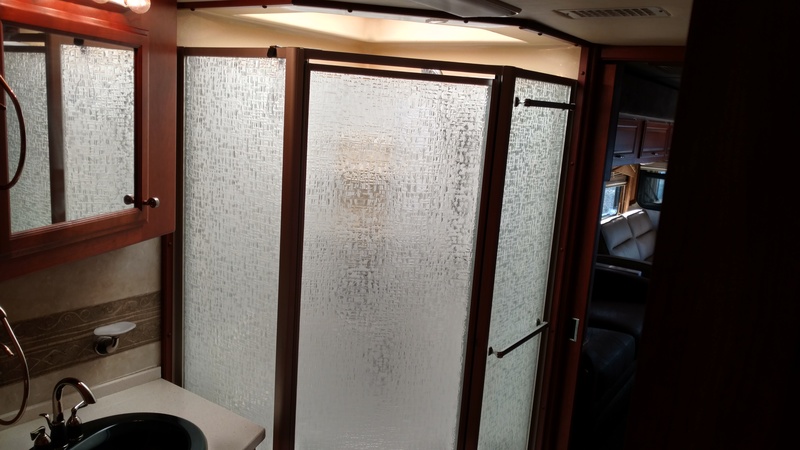 With features like a fridge, microwave and In Motion Satellite TV, you can’t go wrong choosing a Bay Limo RV Rentals. 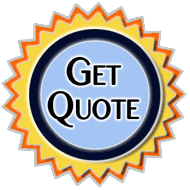 Call us today at 850-269-1200 to find out more. Prices may vary due to destination, time frame needed and season of year. 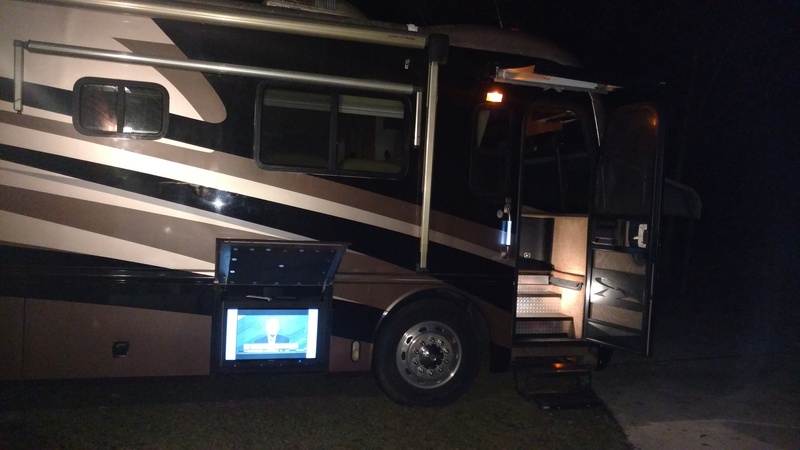 Should you decide that an RV park is in your travel plans, the parking space needs to be reserved and handled through the client. 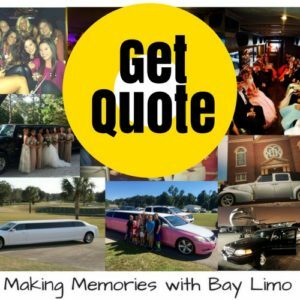 Bay Limo and the Limo Bus want to take your event to the next level, so call us today!